Sometimes, simplicity is the key to focus the attention on the message. 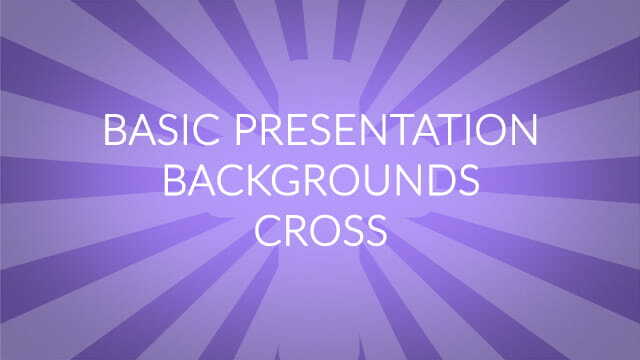 If you are in need of a simple, yet attention-drawing background for your presentations and videos, check out this set of cross/worship-themed basic backgrounds. The background features light rays going into the center, with a cross overlapping the rays. The pack contains 21 backgrounds with different stylish colors. Each background is in full HD 1920×1080 pixels, perfect for video, powerpoint and other presentation or marketing purposes. Check out the overview of included assets below.